The fall 2018 forecast is for growth, despite fears of an all-out trade war between the U.S. and China. With the national economy now in its 10th year of expansion, UCLA Anderson Forecast’s third quarterly report of 2018 questions whether the growth is sustainable. Although the economy is currently operating at full employment and benefiting from the massive tax cut and spending increases, the economic stimulus coming from that combination will likely run out in 2020, and deficits it creates will linger for another decade. Over the near term, the economy remains on a strong, broad-based 3 percent growth track, but growth will slow to 2 percent in 2019 and to a near recession at 1 percent in 2020, writes David Shulman, UCLA Anderson Forecast senior economist. The slowdown will be caused by the natural constraints of a fully employed economy with a 3.5 percent unemployment rate next year and a waning of the administration’s stimulus policies. Moreover, with the inflation rate moving closer to 3 percent than 2 percent, the Federal Reserve will continue to pursue its interest rate normalization policies, which will bring the federal funds rate above 3 percent. Several measures are contributing to the economy’s current strength. Consumer spending has rebounded from 0.5 percent in the first quarter to 3.7 percent in the second quarter and it is on track to grow at a 2.5 percent pace in the second half. Equipment spending increased by 6.1 percent in 2017 and is expected to increase by 7.5 percent this year — which would be its best performance since 2013 — thanks in part to the rebound in oil and gas activity and the recently enacted corporate tax cuts. Defense spending is also surging. After years of decline, defense purchases are forecast to increase 3.7 percent this year and 4.7 percent in 2019. In 2020, the surge will end with only a modest increase of 0.7 percent. Looming over the forecast is the uncertainty of the current administration’s trade policies and the beginnings of a contagion that is enveloping currencies in a few of the world’s developing economies (for example, the Turkish lira and Argentine peso). What is unknown is the effect that any trade policy will have on business investment. 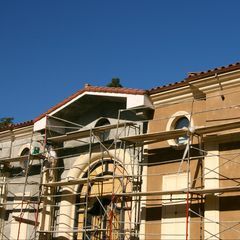 The forecast projects a weakening of California’s economic growth in 2020 consistent with the slowing of the national economy, according to Jerry Nickelsburg, director of the UCLA Anderson Forecast. Nevertheless, California’s economy is expected to continue to grow faster than the U.S. economy. The risks that have been discussed during previous Anderson Forecasts are somewhat amplified this quarter. As predicted, the progress that has been made with renewing NAFTA and agreements reached with Mexico will have little effect on the U.S. and California economies. The same holds true for the negotiations being pursued with Canada. On the other hand, the risks associated with ever-increasing tariffs between China and the U.S. could have much greater consequences. 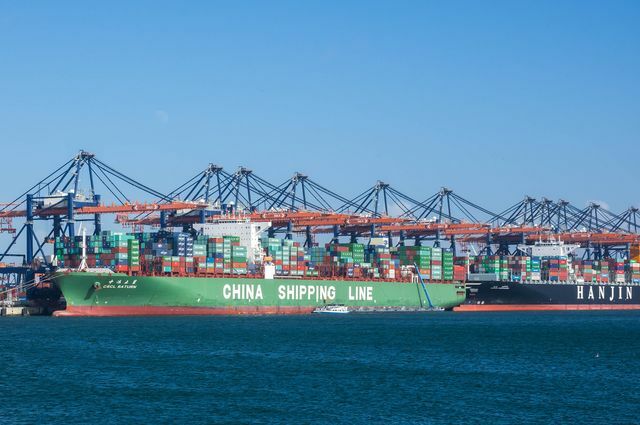 If a significant slowdown in trade occurs, the logistics industry — one of the fastest growing sectors in California in the past year — will be adversely affected. In addition, the state’s budget, which has been expanding with increased tax revenues, would be at risk in any economic downturn. It is anticipated that in California the risks will not come to fruition during the next two years. However, Anderson Forecast economists are “keeping a keen eye on these risk factors that have the potential to derail the forecast,” Nickelsburg writes. According to William Yu, a UCLA Anderson Forecast economist, during the next year, tech jobs are forecast to grow during the next year by 2 percent in Los Angeles: by 2.2 percent in San Francisco; by 2.5 percent in Silicon Valley; by 1 percent in Orange County; by 2.5 percent in San Diego; and by 2 percent in the East Bay. Due partly to the rising cost of housing, the exceptionally high growth in San Francisco and Silicon Valley of the past several years is expected to slow to a normal growth range of 2 percent. Los Angeles’ Silicon Beach corridor and adjacent areas enjoyed a higher growth of tech jobs than surrounding areas, particularly in the information sector, which requires greater technical skills and provides higher wages on average. In the past few years, startup investments have increased in this region, fueling innovation and entrepreneurship. Startup activity has also been accelerating throughout the state. San Francisco (including the East Bay) had the largest number of investments in 2017, with 909 deals funded, amounting to $22.2 billion. Silicon Valley reported 643 funding deals totaling $18.3 billion in 2017. Los Angeles came in third with 307 funding deals totaling $9 billion. San Diego reported $1.7 billion and Orange County tallied $2 billion in startup funding investments. Startup investments in Los Angeles have been accelerating in recent years: For the first nine months of 2018, the region saw $9 billion in investments, compared with $2.75 billion for all of 2011. Data show that there has not been a significant change in U.S.–China trade, at least in the first half of 2018. 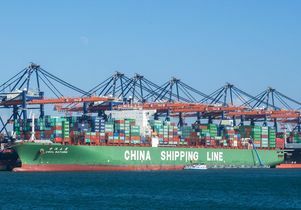 Although there have been shifts in buying in the past few months in anticipation of tariffs, there is not a discernable trend in either international sea or air cargo shipments, after adjusting for seasonality. The first wave of tariffs was imposed on July 6 and, therefore, could explain a shift in future trade volumes. If the tariffs were to be binding and reduce U.S.–China trade, there would be a reallocation of resources away from trading sectors in both countries. The escalation of trade tensions between the U.S. and China in the past few months has not yet engendered sizable dislocations in either economy. All of the economists’ reports will be presented at the UCLA Anderson Forecast’s quarterly conference on Sept. 26, 2018. The conference also features a panel discussion focusing on changes to expect in the fast-growing technology sector, with emphasis on how tech is changing the nature of work and the face of Los Angeles. Panelists will include J.B. Blevins, adjunct professor of decisions, operations and technology management, UCLA Anderson School of Management; William Chun, deputy mayor, economic development, City of Los Angeles; Wes Nichols, tech entrepreneur and board partner, Up-Front Ventures; and Alex Maleki, vice president of business development, Idealab. UCLA Anderson Forecast is one of the most widely watched and often-cited economic outlooks for California and the nation, and was unique in predicting both the seriousness of the early 1990s downturn in California and the strength of the state’s rebound since 1993. More recently, the forecast was credited as the first major U.S. economic forecasting group to declare the recession of 2001.